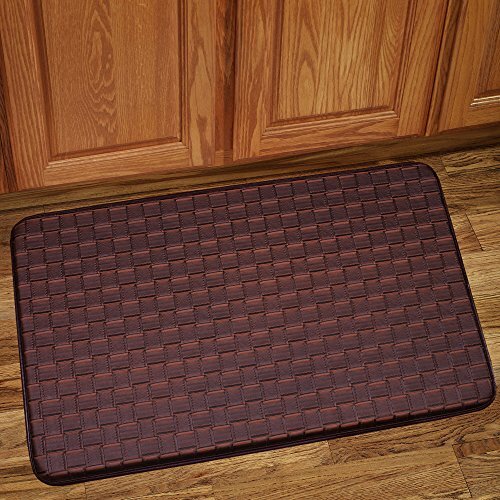 Sweet Home Collection Memory Foam Anti Fatigue Kitchen Floor Mat Rug, Playa Mocha, 30" x 18"
Kitchen mats can help keep your floor clean and they can add a little charm to your kitchen These Memory Foam Anti-Fatigue Kitchen Floor Mats do just that and 're also comfy to stand on. They're made of memory foam with a vinyl cover and are available in several different styles. Add a little beauty to your kitchen with this practical floor mat!. If you have any questions about this product by Sweet Home Collection, contact us by completing and submitting the form below. If you are looking for a specif part number, please include it with your message.